Whether it’s a foundry, a bustling restaurant kitchen, or outdoors in the summer months, a hot environment can overwhelm a body’s ability to deal with heat, leading to a variety of illnesses. Whenever possible, employers should take measures to protect workers by avoiding heavy exertion tasks, extreme heat, sun exposure, and high humidity. 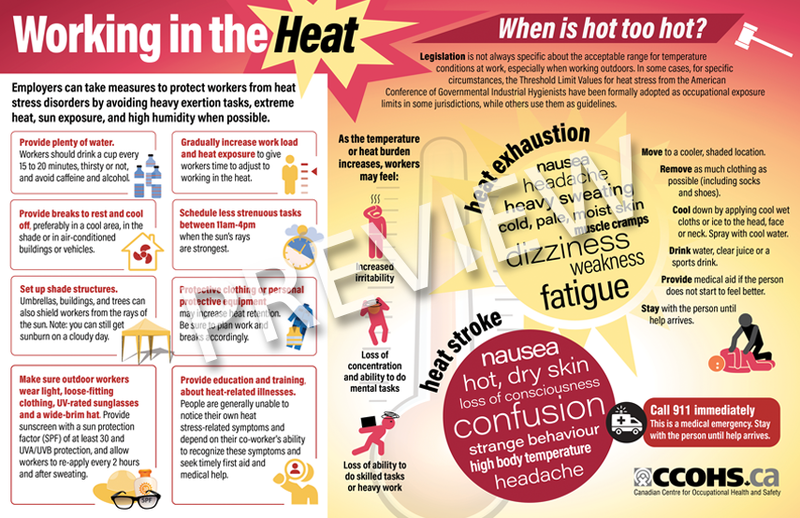 This infographic outlines control measures to reduce the effects of heat, along with the signs of heat exhaustion and heat stroke and how employers, workers, and supervisors can take action.